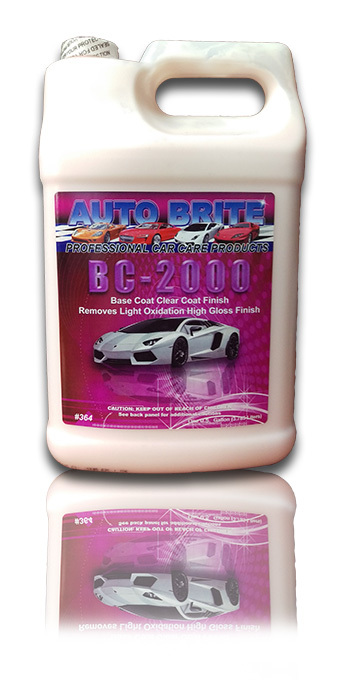 BC-2000 - A clear coat cleaner/polish that is easy to use. It removes light to moderate oxidation and other surface imperfections. Produces a high gloss, durable finish on todays clear coat and conventional paints. Can be used with hand, orbital buffer, or variable speed polisher, using foam or wool pads.